Structurally it's kind of similar to the earlier SELFISH1. 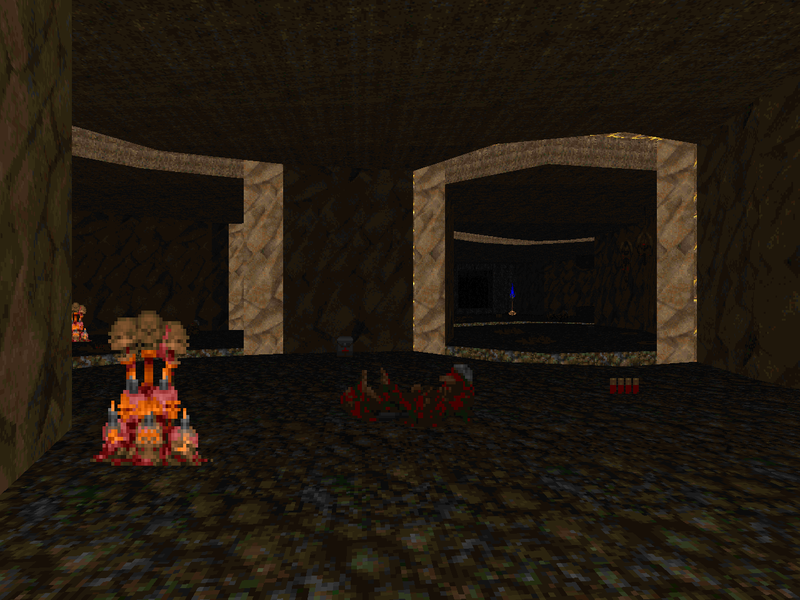 The initial playing area is high above a lake of lava and the annexes take you through adjoined buildings and caverns, in one case to a completely separate outdoor area. I would describe it as being really fun, way more so than the spartan MAP21 that I'm comparing it to, but your mileage may vary since there are a whopping eight secrets. The combat shotgun is given to you up front but the BFG, which will help to nullify several large ambushes that include mixed pain elementals and cacodemons, is visibly displayed but not readily accessible. Paul's combat cuts a nice blend between outdoor exposure and tackling heavy-hitters in the more enclosed spaces. The early fighting mixes up projectile and bullet snipers with a legion of lost souls that will keep you occupied while you get the lay of the land. Your big return trip triggers a much larger headache I've previously alluded to. The BFG is one optional item for you to exploit but another useful secret can actually place you on top of the western wall, giving you something to put your back against. I like the reuse of the central area and was a little surprised at how well the author appeared to facilitate combat. 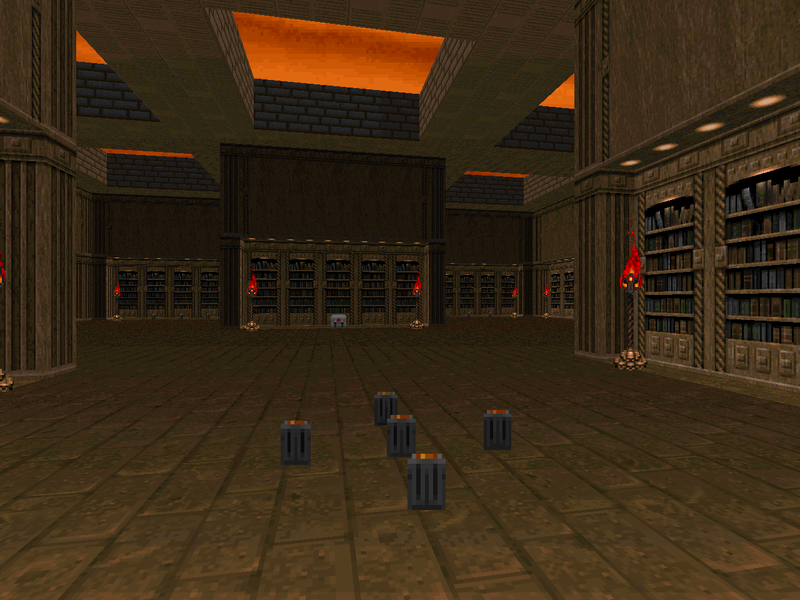 The interior segments are more about dumping the big guys on you and Corfiatis starts out early by using mancubuses and arachnotrons in the library room and then moving on to single arch-viles in places where they can resurrect small groups of trash monsters. 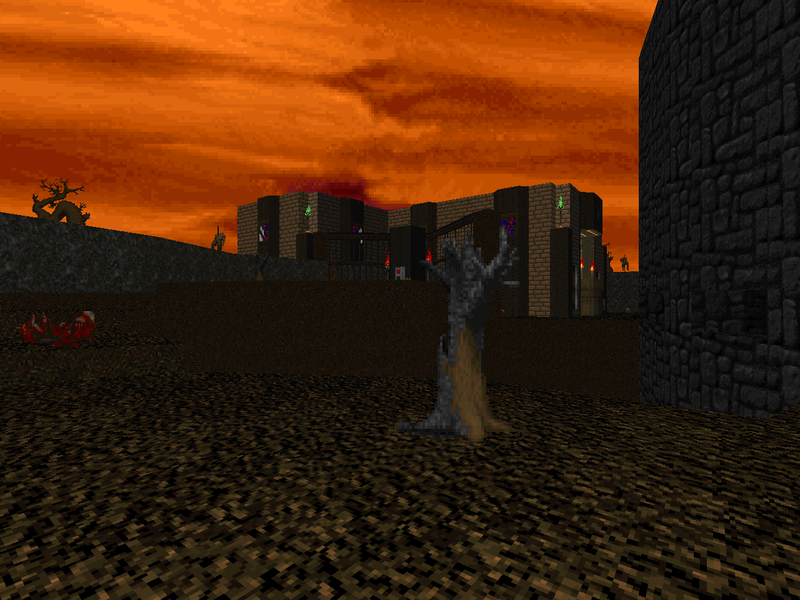 The final sequence has a few impressive waves of enemies, starting out with the obligatory demon rush and more or less peaking at a lock-in hallway ambush. It's not exactly nuanced but it makes for hard-hitting fun, especially since the author reserves the beefiest enemies for solo fights so the grind doesn't wear you down. It's also got a lot of eye candy. 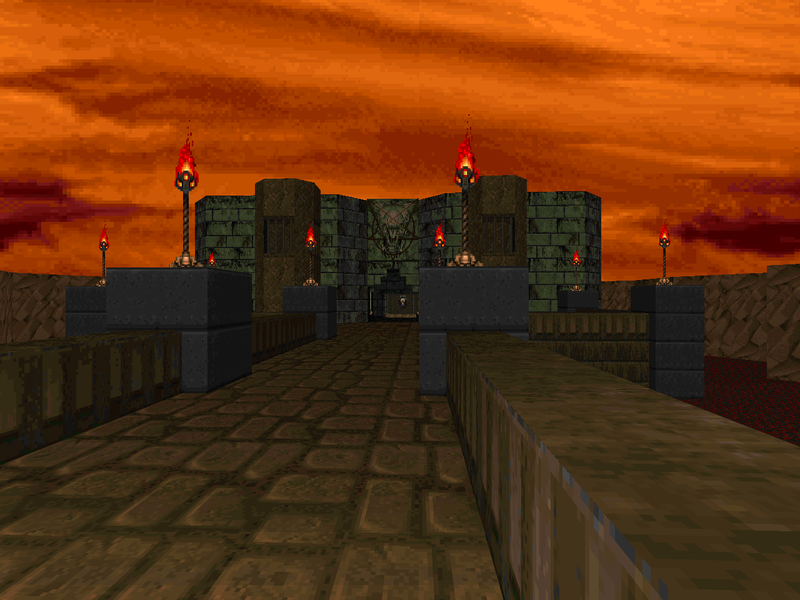 The opening area is obviously the star of the show since it has a bunch of building facades and the unnaturalistic three-pole rock / gore formation. 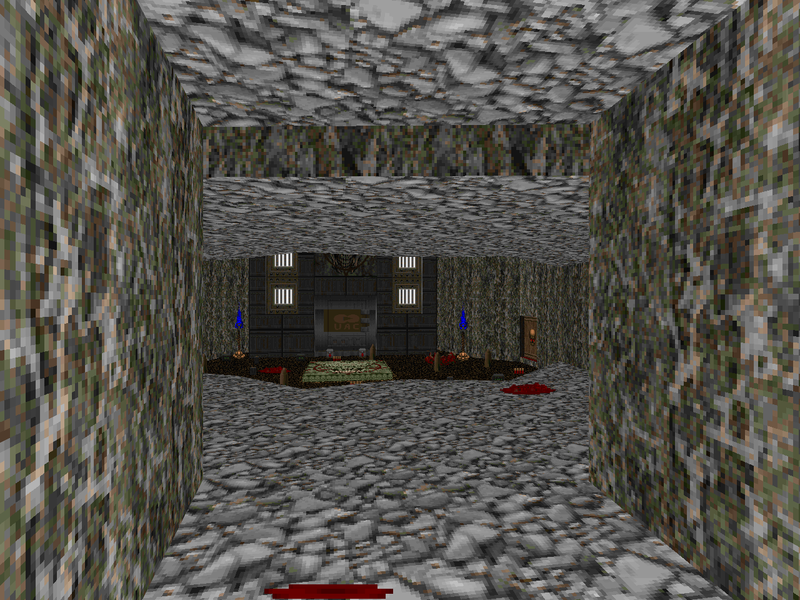 I also enjoyed the simple but grounded look of the cavern sections and the expansive archive, not to forget the little gothic fortress that releases the red key to you. pcorf doesn't go crazy on the lighting in terms of contrast but there are plenty of little dynamic sconces that scream classic Doom and, for fetishists, the marble jut to the northwest featuring overlapping Dr. Sleep-style lightcasting. I had a really good time with SELFISH3. Between this one and the more switch-fu oriented SELFISH2, I dunno if I could tell you which one is my favorite. 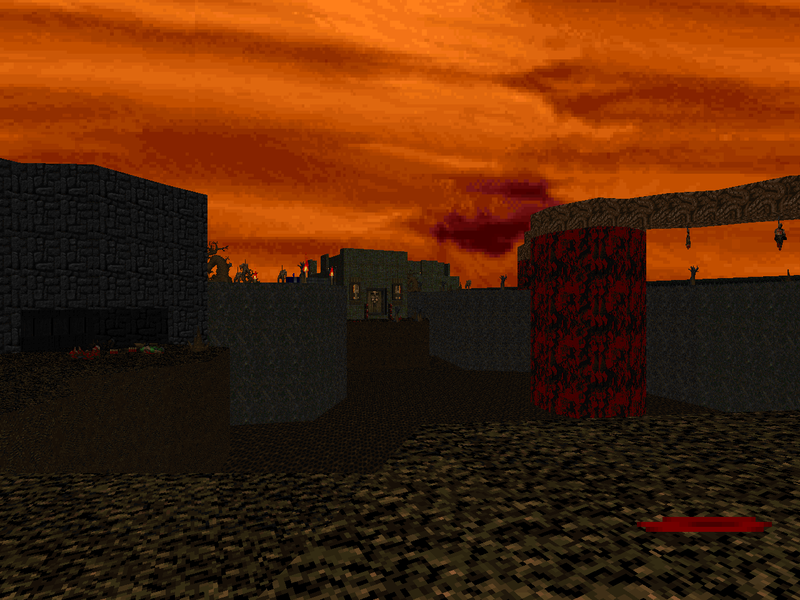 I'm excited to play the rest - whenever I get around to it - and see how Paul improves his Doom II game.